from using skinny data binge which im sure is using the same technology as spark unlimited i managed to tether from my android phone too a tablet fine. What noroad said was clearly true though.Lots of people, not just him, rely on tethering. That doesn't mean they're running a hotspot with the whole neighbourhood eating data off it. "Unlimited Date (NZ only)" - huh? So data to non NZ is limited? If so to what limit? For me, the drop in price is great, The plan sits in the same place for me as it did before except its got exceptionally better value now.. The terms of tethering is there to avoid it being used as a replacement for say, WBB. * This is not to say it hasn't happened simply that i have not been made aware of it at all. Kind of makes the Skinny Direct plan pointless unless they rethink the price on it. I can't be bothered signing up to a real plan - Skinny Direct is great for me as I can adjust it without phoning anyone on my own terms. 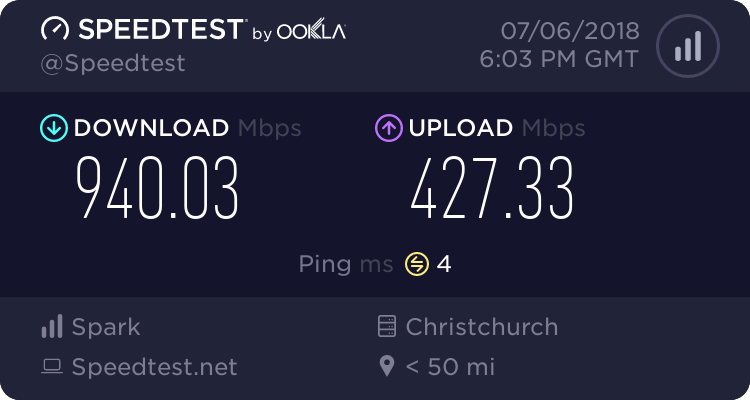 There is a bunch of people the same as me - may be travelling NZ for example and need it only for a month, this way they can (and can switch to a smaller plan) with just an app. But otherwise I agree - you're getting more value on Spark. Is all tethering excluded, or just data tethering? For example, can I tether to my car audio device, and my bluetooth headphones and speakers? I'm sure it is mention somewhere in their T&Cs, but isn't in the 'Key info' section. The way I read it as you can't tether a device that is going to pull Internet via the phone. If you are just pairing your phone to the cat stereo for hands free then that is fine. Jason Paris from Spark, CEO Home, Mobile and Business has said on twitter that he's going to look into whether to allow limited tethering. If you are just pairing your phone to the cat stereo for hands free then that is fine.